"You want him to be somewhere he can thrive, right?" IFC Films has debuted an official trailer for an indie drama titled A Kid Like Jake, which premiered at the Sundance Film Festival earlier this year. Adapted from Daniel Pearle's play, described as a "timely, honest, emotionally rich look at 21st-century parenting." 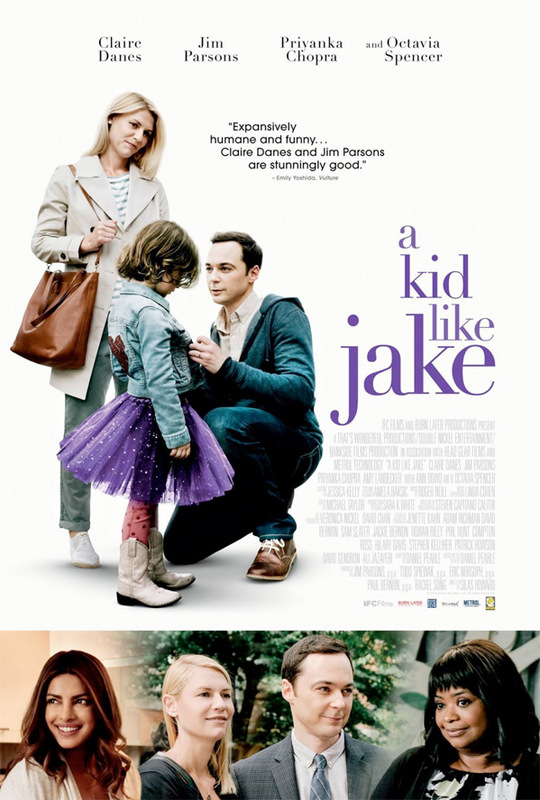 Claire Danes and Jim Parsons star as parents of a precocious, creative young child named Jake, played by Leo James Davis. As they attempt to challenge the private school world in New York City, they must determine whether their son's "gender nonconformity" is something that matters, can help them, or make matters even worse. The cast includes Octavia Spencer, Priyanka Chopra, Amy Landecker, and Ann Dowd. I heard some great things about this at Sundance, and the trailer looks solid. Looking forward to it. 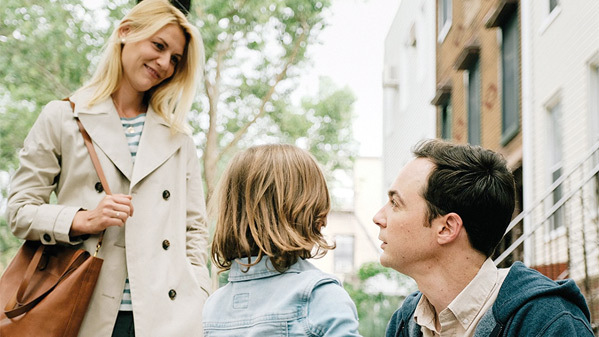 Brooklyn parents Alex (Claire Danes) and Greg (Jim Parsons) are lucky to have a kid like Jake. Their four-year-old is bright, precocious, creative—and just so happens to prefer Disney princesses to toy cars and skirts to jeans. Jake's "gender expansive" behavior—as local preschool director Judy (Octavia Spencer) dubs it—is no big deal to Alex and Greg. Or so it seems, until the process of navigating New York City's hyper-competitive private school application system opens up a parental quagmire: could Jake's gender nonconformity be just the thing that gives their child an edge in the admissions game? Is this just a phase, or is Jake truly transgender? Split in their opinions on how to handle the situation, Alex and Greg find themselves navigating an emotional and ethical minefield with one patch of common ground between them: their fierce desire to do what's right for Jake. A Kid Like Jake is directed by American filmmaker Silas Howard, of the films By Hook or by Crook, Sunset Stories, and Valenica, and a few TV series + short films, too. The screenplay is by Daniel Pearle, based on his own play. This premiered at the Sundance Film Festival earlier this year. IFC will release A Kid Like Jake in select theaters starting June 8th. Interested?